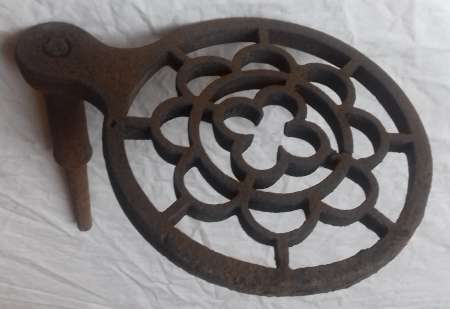 Early 19th century register grate. 38″ high x 34″ wide x 12″ deep. 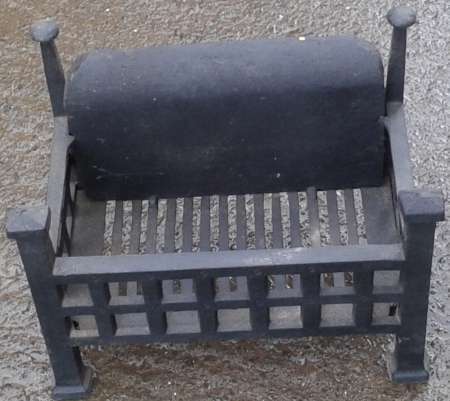 Reclaimed 20th Century fire basket with ash pan. 430mm max. height x 610mm wide x 380mm deep / Internally 590mm x 365mm. Fully restored & in great condition. 610mm in width x 490mm in height x 320mm in depth. 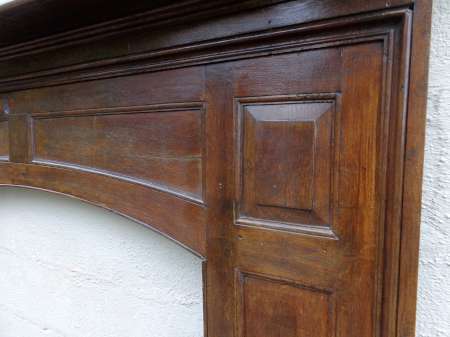 Fully restored & ready to fit. 530mm in height x 366mm in width x 315mm in depth. 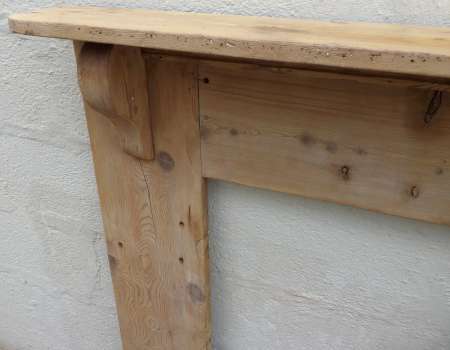 Shelf – 835mm x 123mm. 1080mm in height x 777mm in width. Internally – 858mm x 430mm. 468mm in width not including hinges. 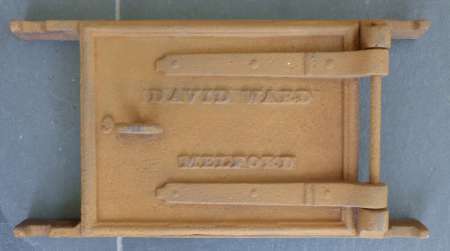 515mm in width including hinges. 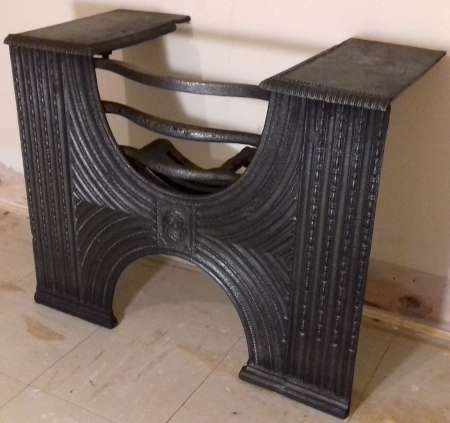 Reclaimed 20th Century fire basket. 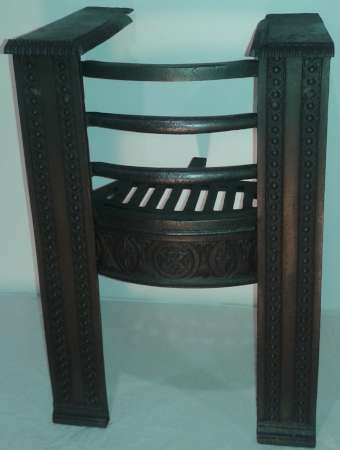 A matching pair of antique cast iron combination fire grates. 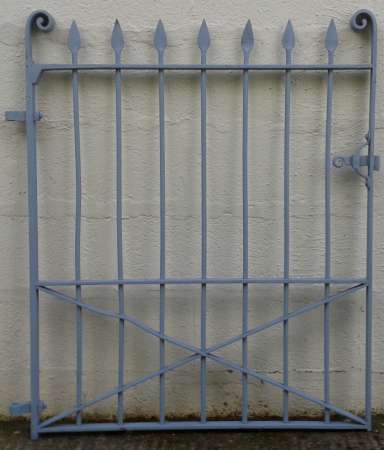 Grate width – 355mm / 14″. 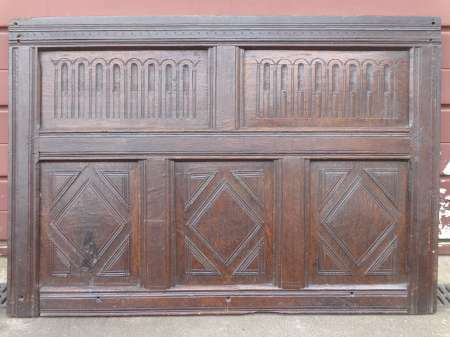 Late 17th/early 18th century carved oak overmantle. 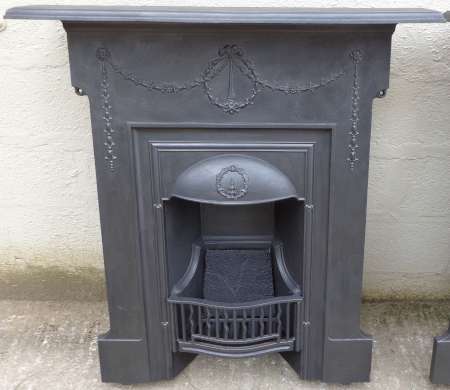 Georgian cast iron hob grate in excellent condition. 768mm wide x 528mm high x 260mm deep. 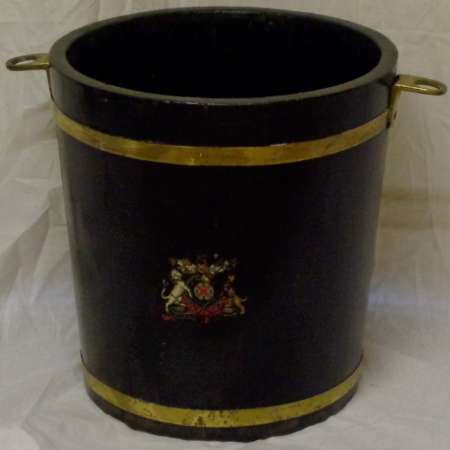 Reclaimed armorial hardwood & brass bucket. 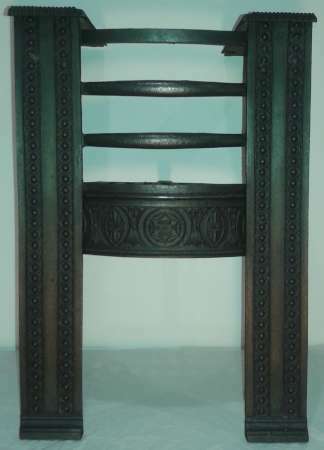 12 1/2″ in height x 12″ diameter. 738mm in width x 160mm in height x 282mm/340mm in depth. 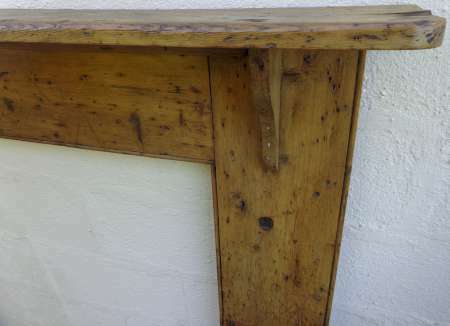 Shelf – 1876mm x 150mm. 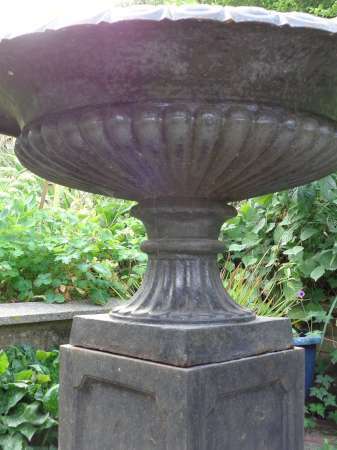 Internally – 1105mm wide x 1100mm high. 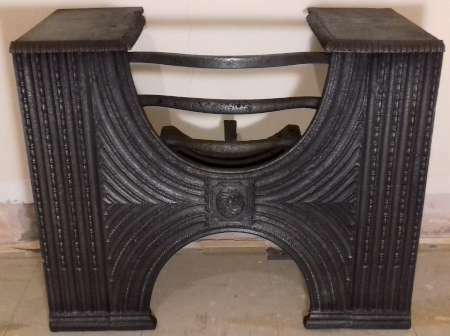 Reclaimed Victorian arched cast iron fire place insert. 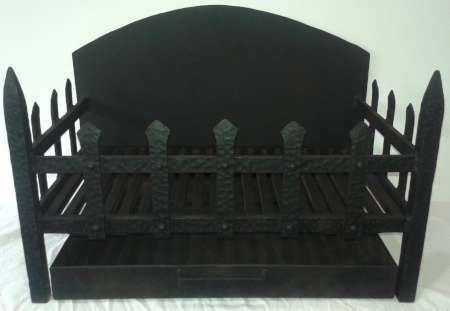 38″ high x 36″ wide 18″ grate. 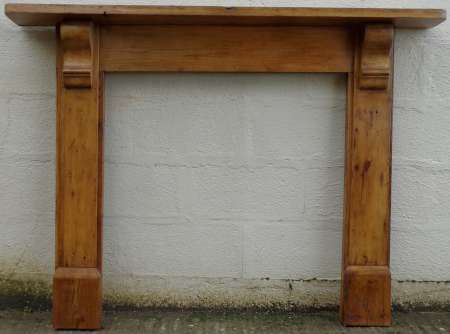 Mid – Victorian pine fire surround. 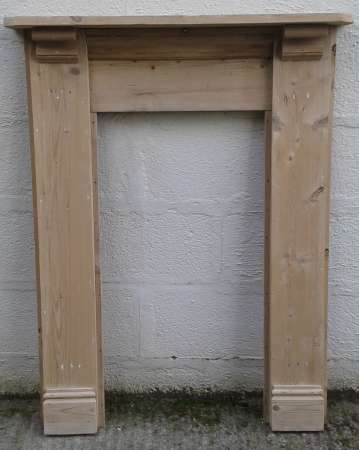 Mantel shelf – 1520mm x 175mm. Internally – 925mm in height x 885mm in width. 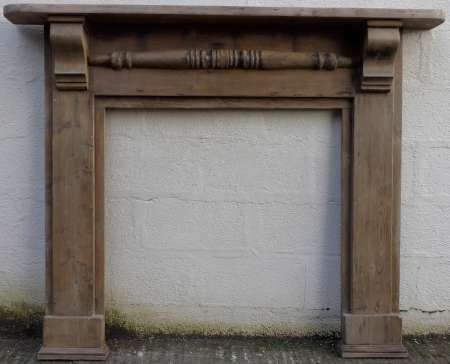 Antique pine fire surround reclaimed from large Victorian Hotel in Tenby. 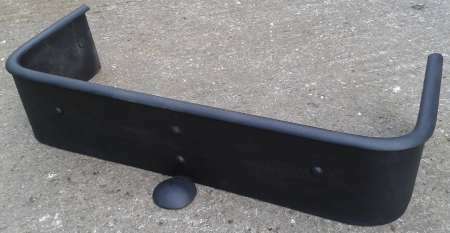 Mantle shelf – 1625mm x 175mm. Internally – 920mm in height x 950mm in width. 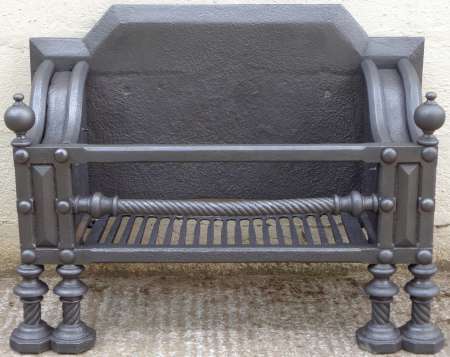 Victorian cast iron ‘Tidy Betty’ fender. Max. height of 273mm x 493mm max. width x 100mm in depth. 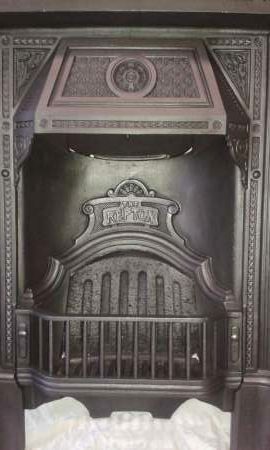 Small loss to top left corner – see image. 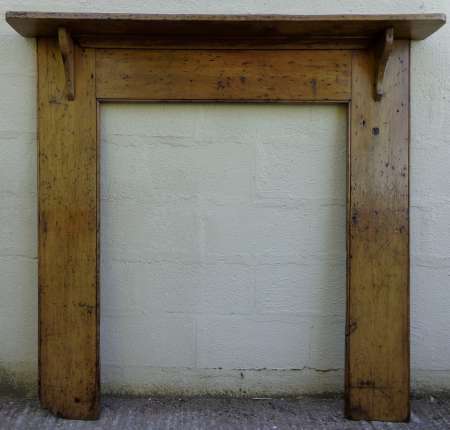 Reclaimed oak beam – ideal fireplace inglenook beam. 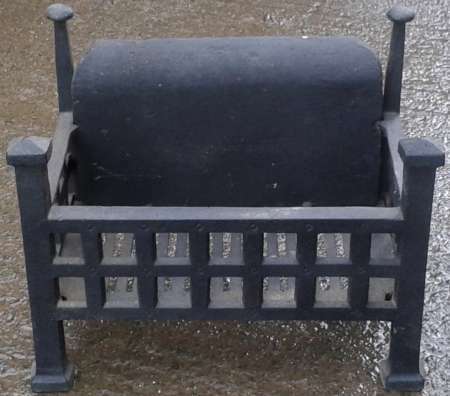 A very large early Georgian fire basket. 905mm in width x 675mm in height x 330mm in depth. 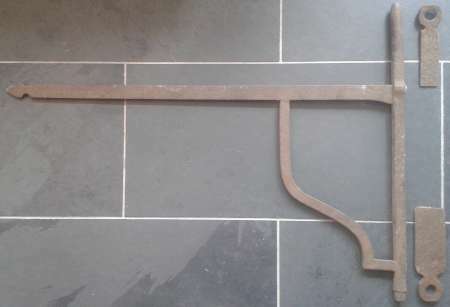 Mantle shelf – 966mm x 153mm. 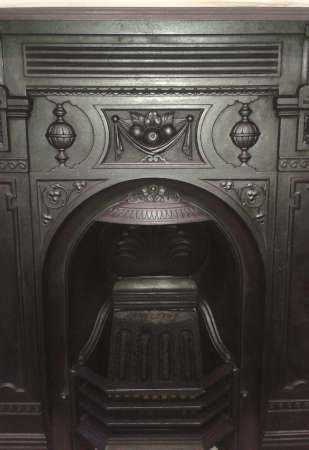 Internally – 455mm in width x 915mm in height. 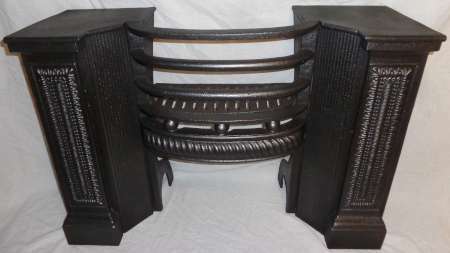 Extremely heavy, well made & in lovely condition. Internally – 985mm high x 930mm wide. Internally – 37 1/2″ high x 42″max. width (can be varied). 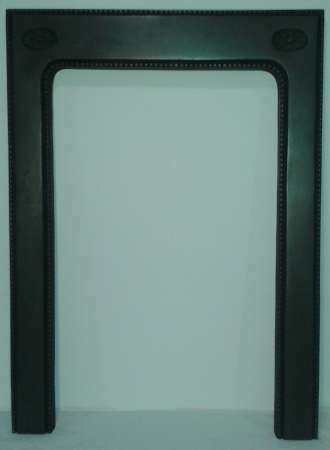 Mantle shelf – 68″ x 10 1/4″. 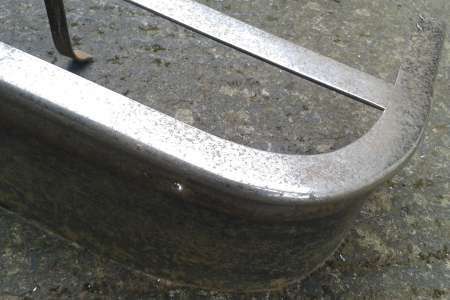 Victorian chrome & steel fender in original condition. 1130mm max. width x 154mm in height x 265mm in depth. 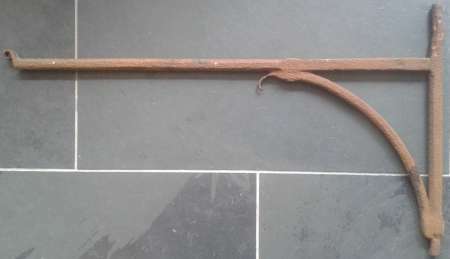 Reclaimed English wrought iron chimney crane adjustable pot hooks / trammel hooks. Good working order. 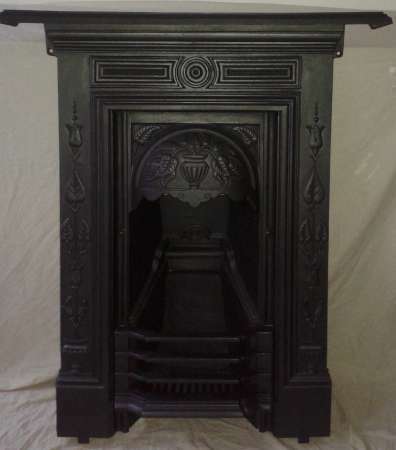 Antique wrought iron chimney crane. 27 1/2″ x 15 1/2″. 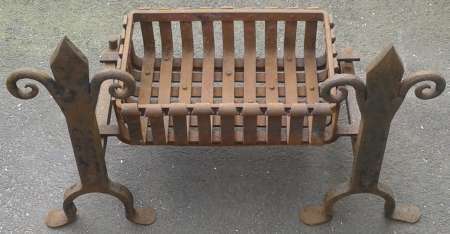 Early reclaimed wrought iron & riveted basket & fire dogs. 780mm width x 510mm height x 440mm depth. 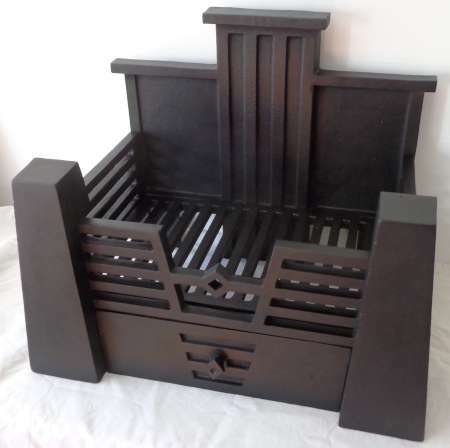 Basket internally – 405mm x 250mm x 120mm. 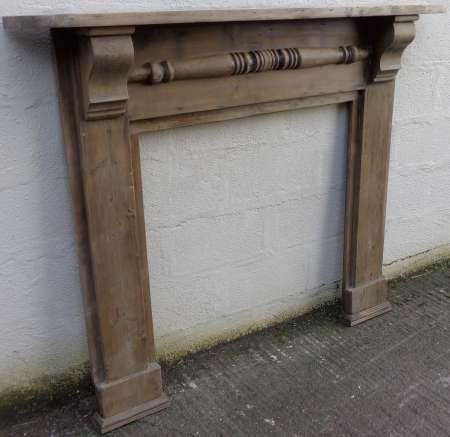 Early 19th century pine fire surround reclaimed from old bakery – waxed finish – distressed & full of character! 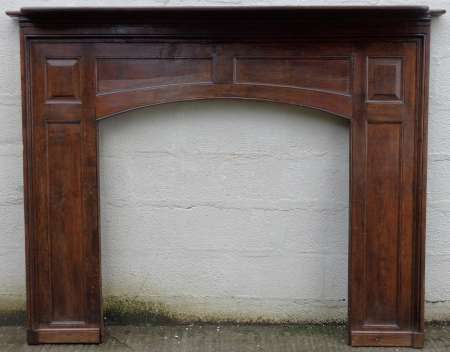 Mantel shelf – 1505mm x 177mm. 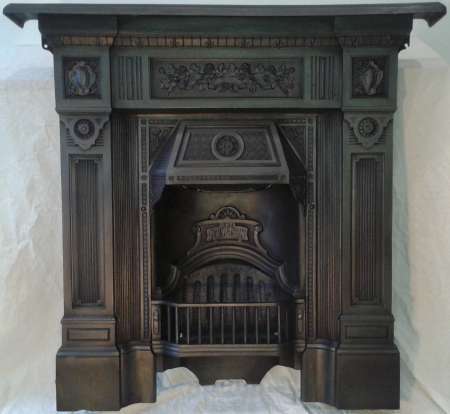 Internally – 1190mm high x 930mm wide. 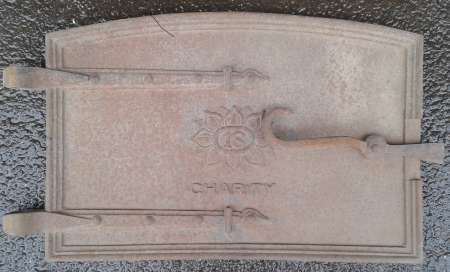 Antique reclaimed polished welsh slate hearth slab. 1462mm x 760mm x 38mm. 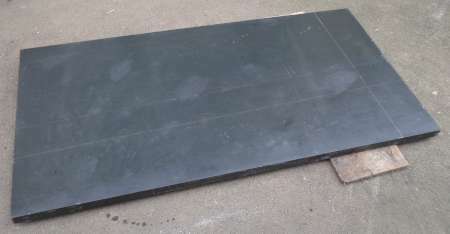 740mm wide x 590mm high x 300mm deep. 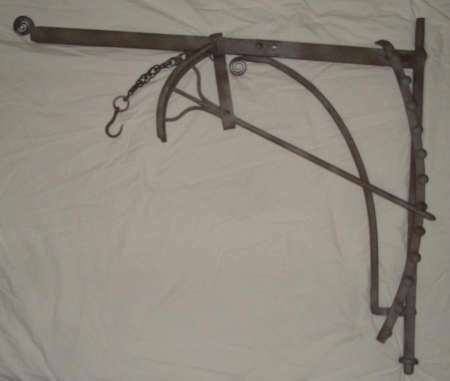 Early wrought iron chimney crane with hinge attachments. 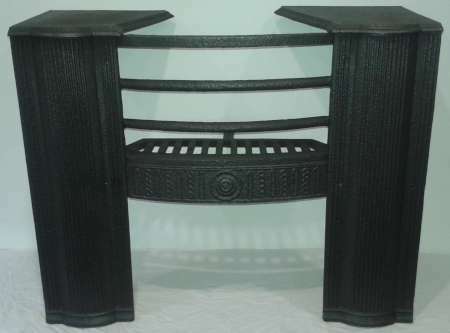 Reclaimed art deco style fire basket. 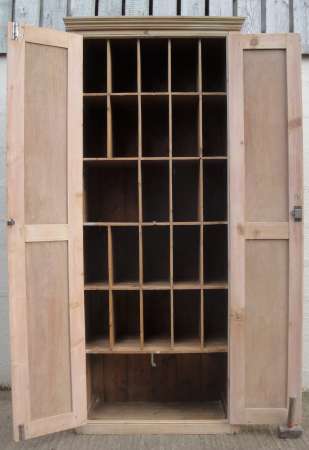 430mm wide x 320mm deep x 380mm high / internally – 380mm x 230mm. 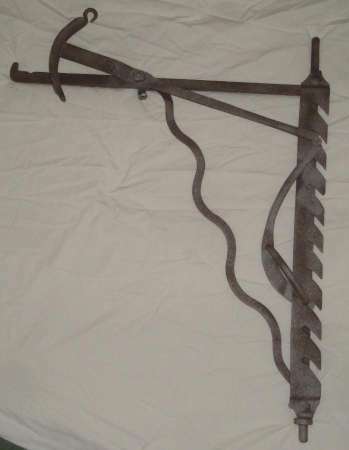 Early & rare wrought iron chimney crane from 17th/18th century. 35 3/4″ x 43 1/8″. 35″ high x 28 3/4″ wide. 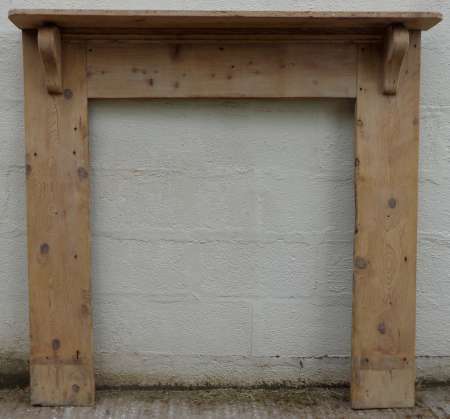 Antique pine fire surround reclaimed from old bakery. 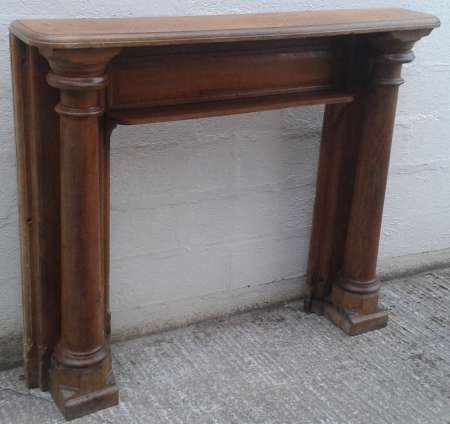 Mantel shelf – 1412mm x 152mm. 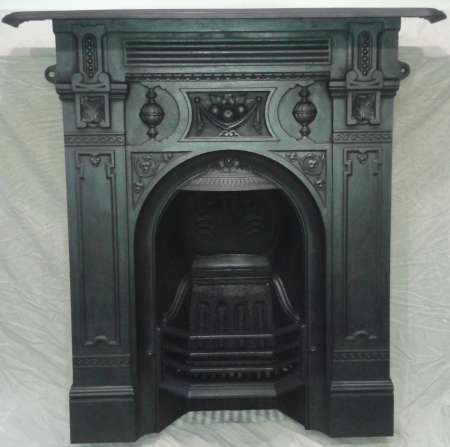 Internally – 1081mm high x 928mm wide. 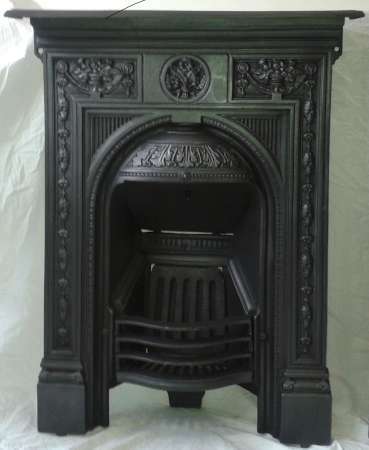 Victorian 30″ cast iron fireplace dated 1889. 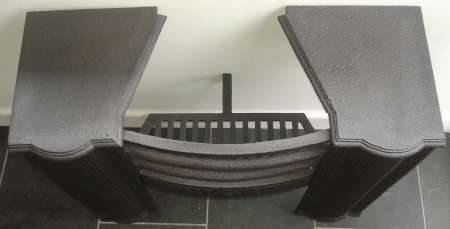 Mantle shelf – 945mm x 165mm. Ready to install & use. 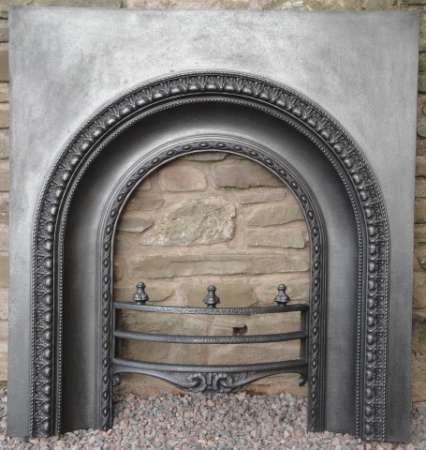 Reclaimed antique cast iron chimney soot door with frame. 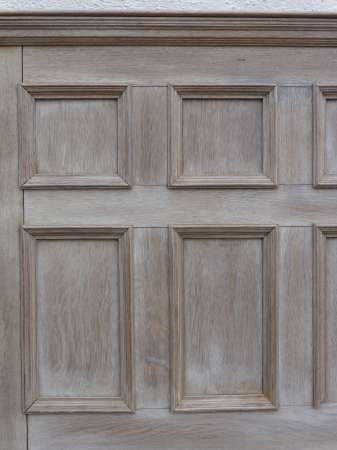 Door – 240mm x 185mm. 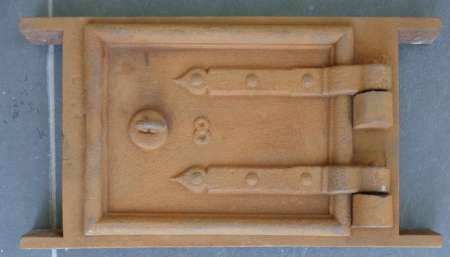 Door – 220mm x 175mm. 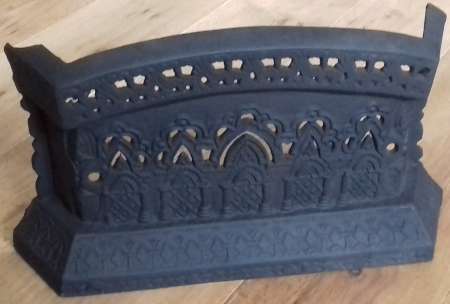 Victorian cast iron fireplace fender. 1045mm wide x 280mm deep x 145mm max. height. 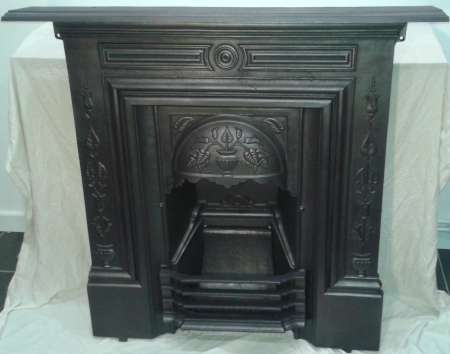 Sandblasted & sprayed in heatproof black paint. 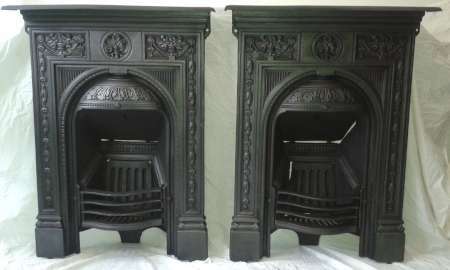 A matching pair of 24″ Victorian cast iron fireplaces. 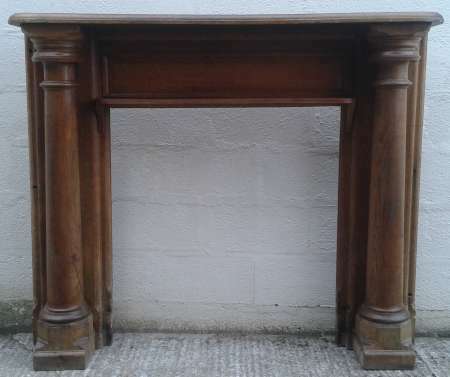 Mantle shelf – 677mm x 120mm. 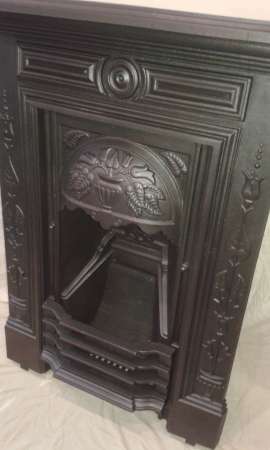 Late Victorian 24″ art nouveau cast iron fireplace. 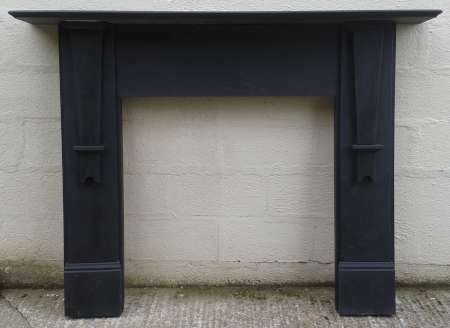 Matching 36″ fireplace available – see below ( FCX043). 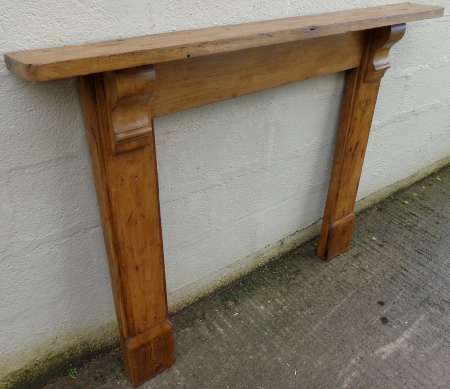 Mantle shelf – 805mm x 155mm. 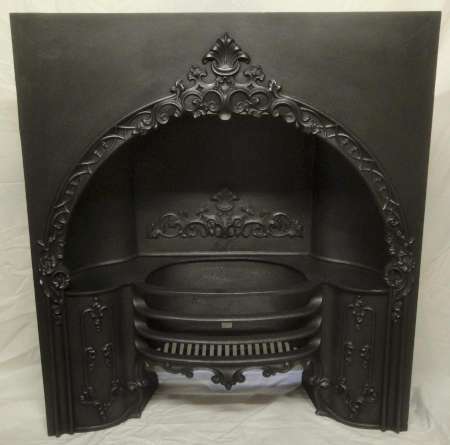 Late Victorian 36″ art nouveau cast iron fireplace. 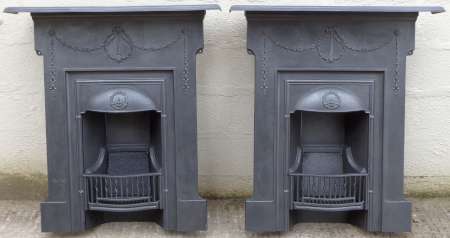 Matching 24″ fireplace available – see above ( FCX042). 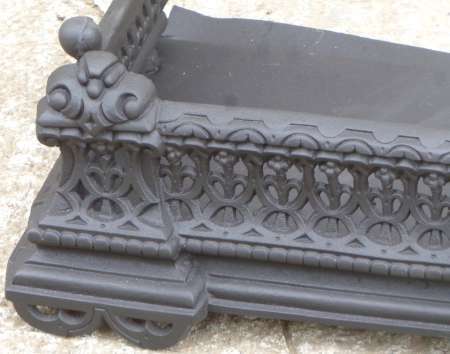 Mantle shelf – 1110mm x 155mm. 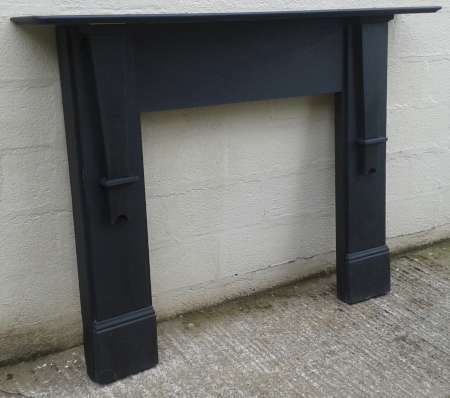 Small reclaimed cast iron fire surround. 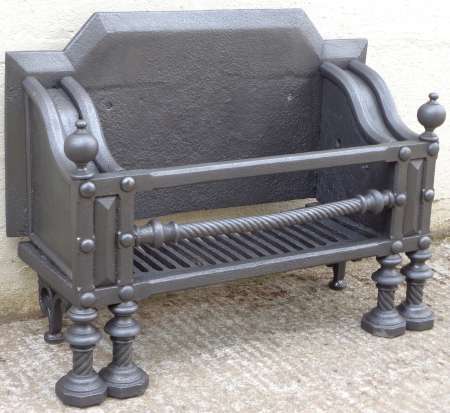 “The Repton” – Victorian cast iron 36″ fire grate. 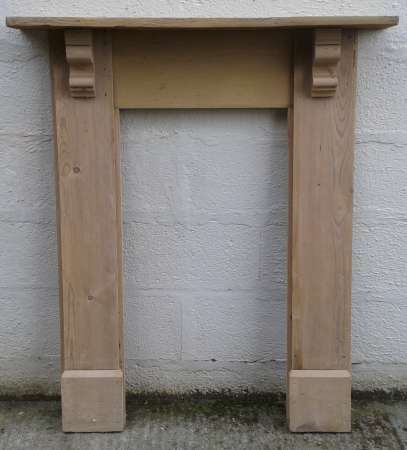 Mantel shelf – 1080mm x 170mm. 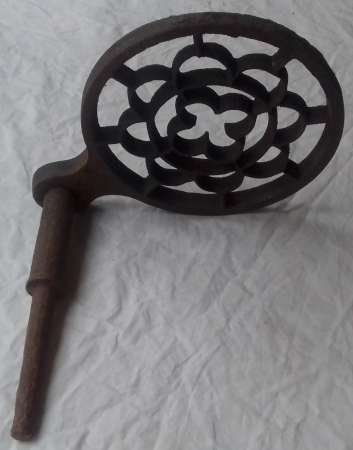 Victorian cast iron fireplace trivet.